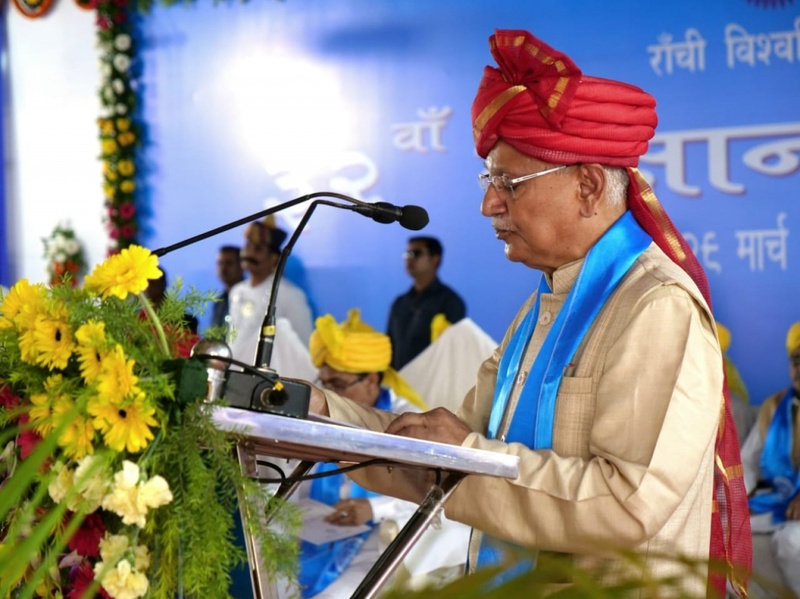 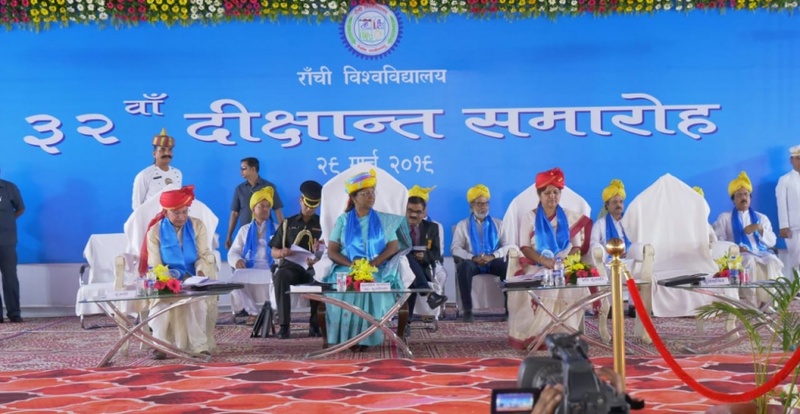 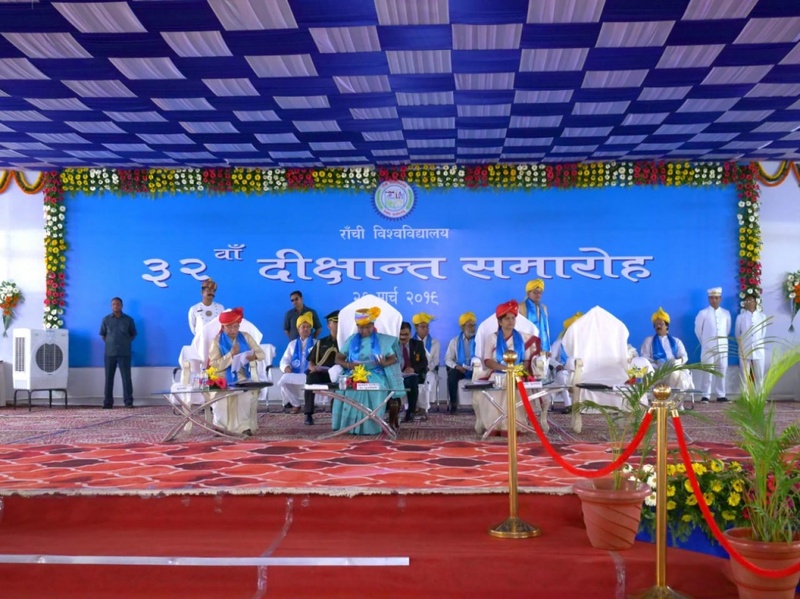 32nd Convocation Ceremony of Ranchi University in Jharkhand. 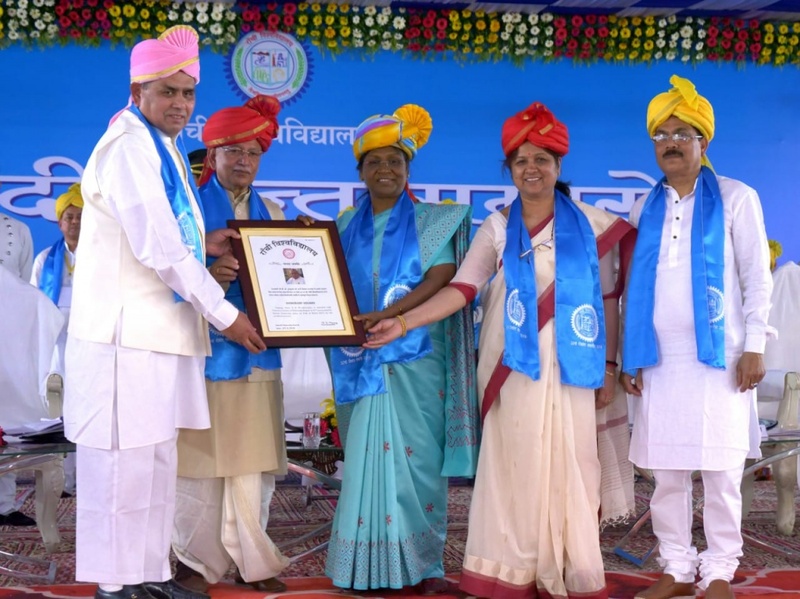 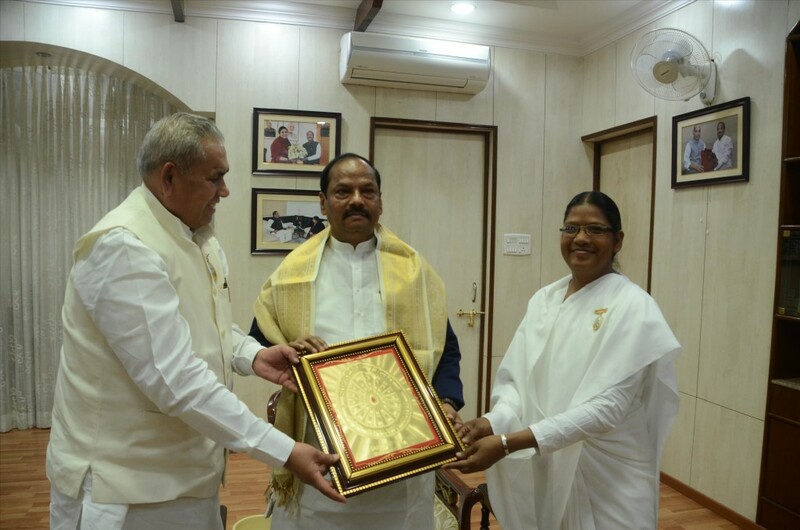 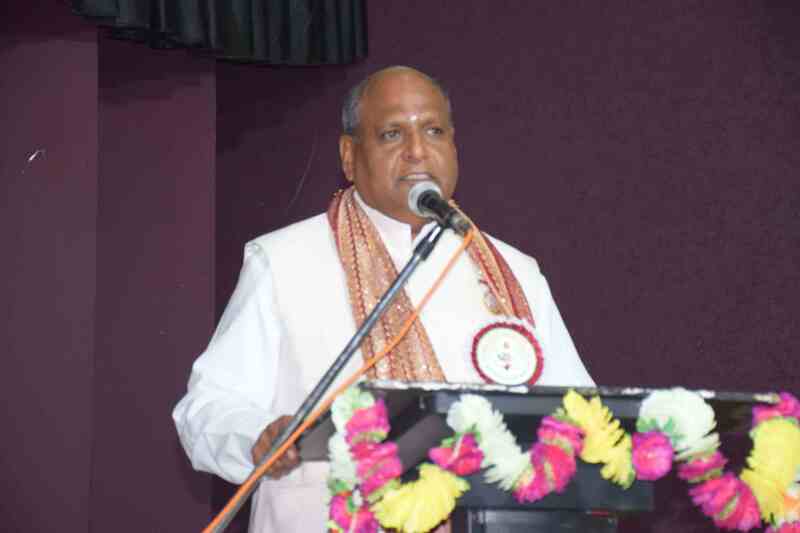 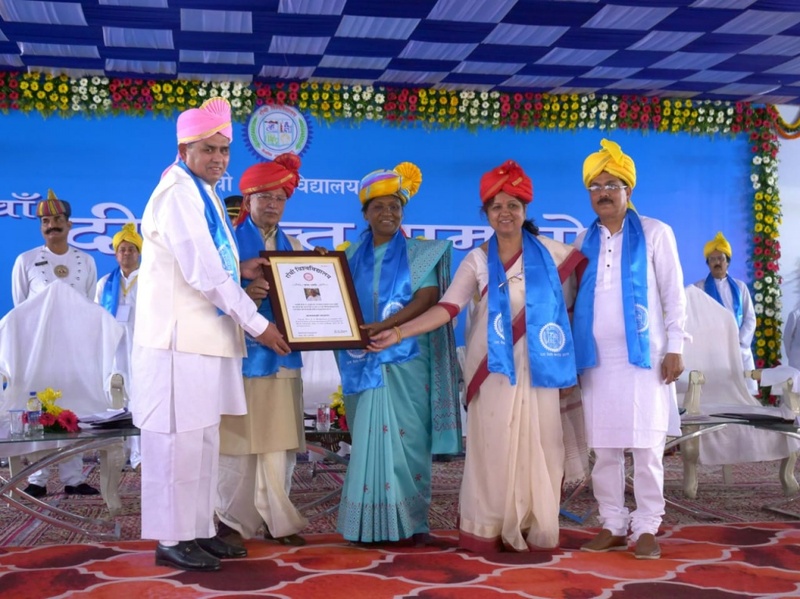 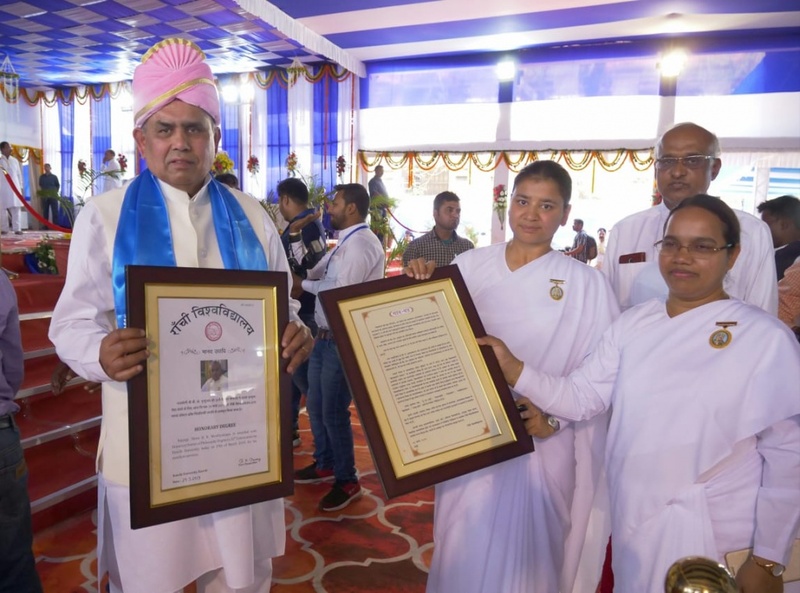 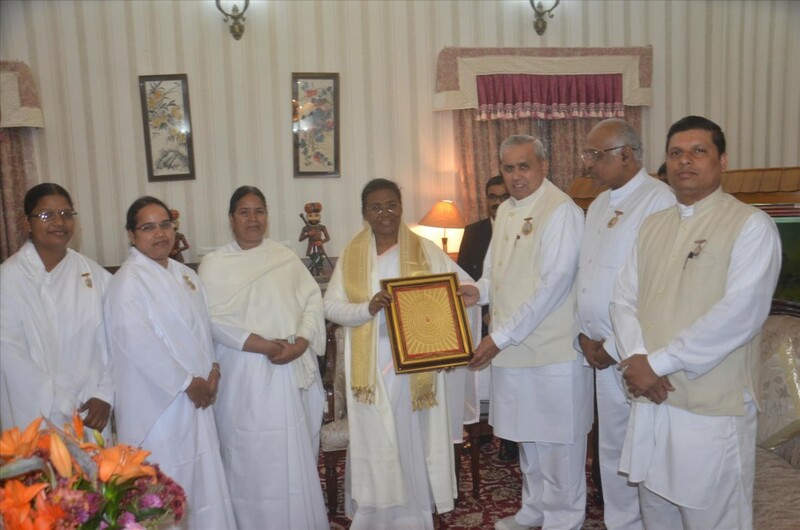 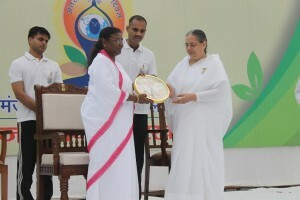 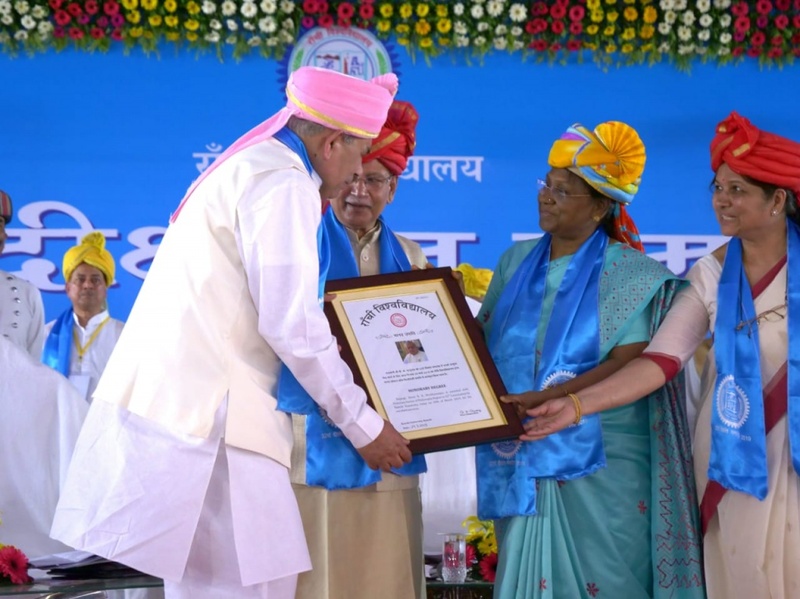 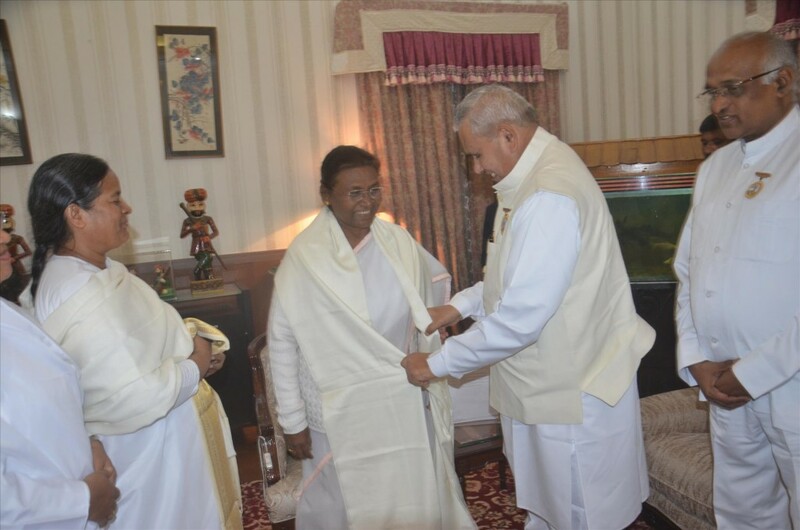 Governor of Jharkhand Hon’ble Smt Droupadi Murmu and Vice-Chancellor of Ranchi University Prof. R. K. Panday presented the Honorary Degree of Doctor of Philosophy to Rajyogi BK Mruthyunjaya, Executive Secretary of Brahma Kumaris for his outstanding service to the society today on 29th March 2019 in the presence of 5000 degree holders during the 32nd Convocation Ceremony of Ranchi University in Jharkhand state. 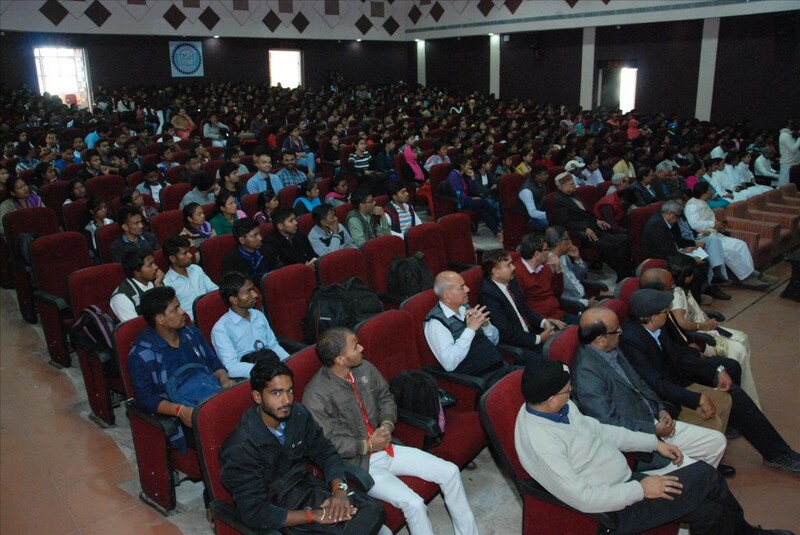 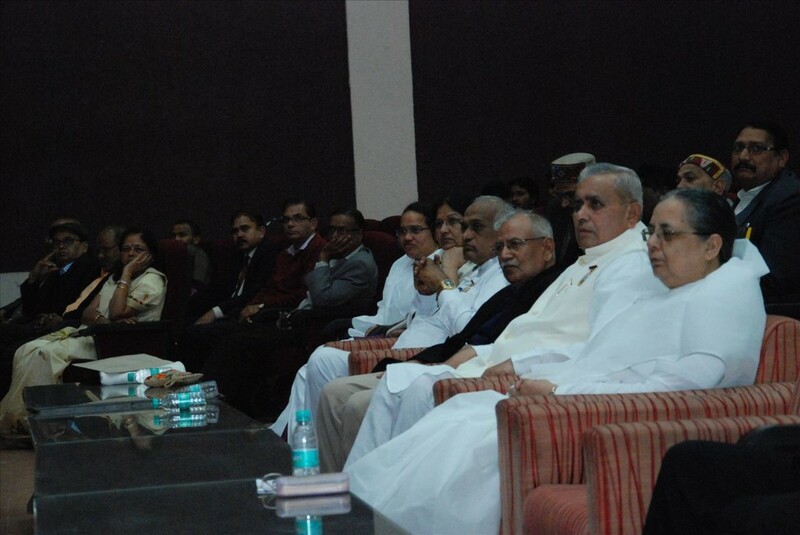 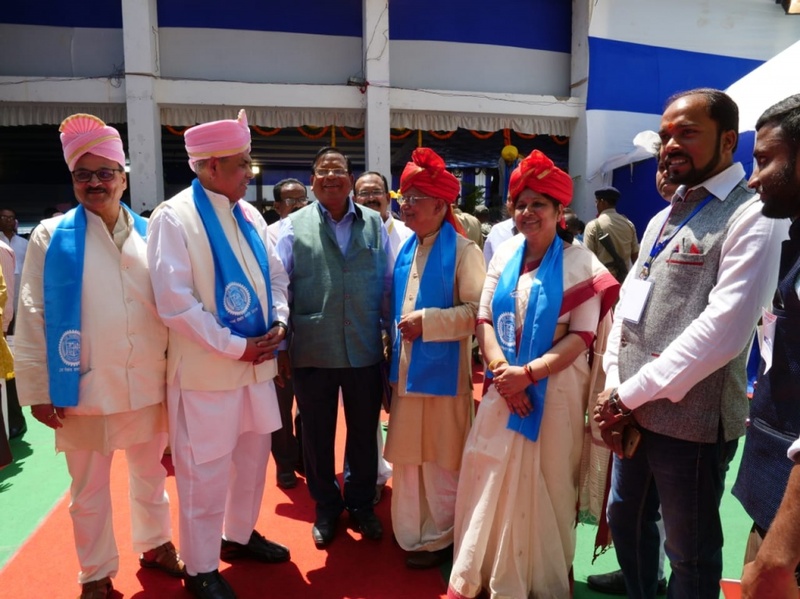 Pro-Vice Chancellor Prof. Kamini Kumar and Registrar of Ranchi University were also present in the ceremony. 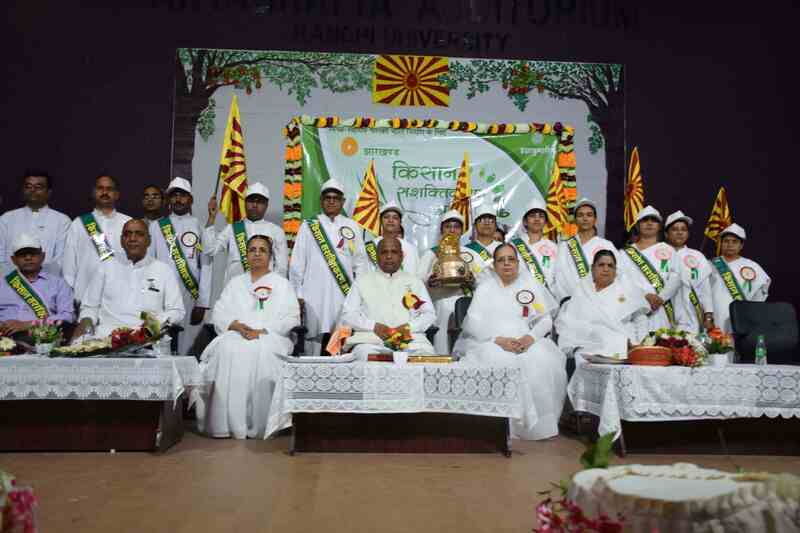 Ranchi (Jharkhand): The Brahma Kumaris local Centre in Choudhari Garden, Harmu Road in Ranchi, in collaboration with the Rural Development Wing of the Raja Yoga Education and Research Foundation, Mount Abu Head Quarters, Rajasthan, has launched a “Farmer’s Empowerment and Consistent Farming by the Power of Yoga,” program for farmers in the Aryabhatt Auditorium. 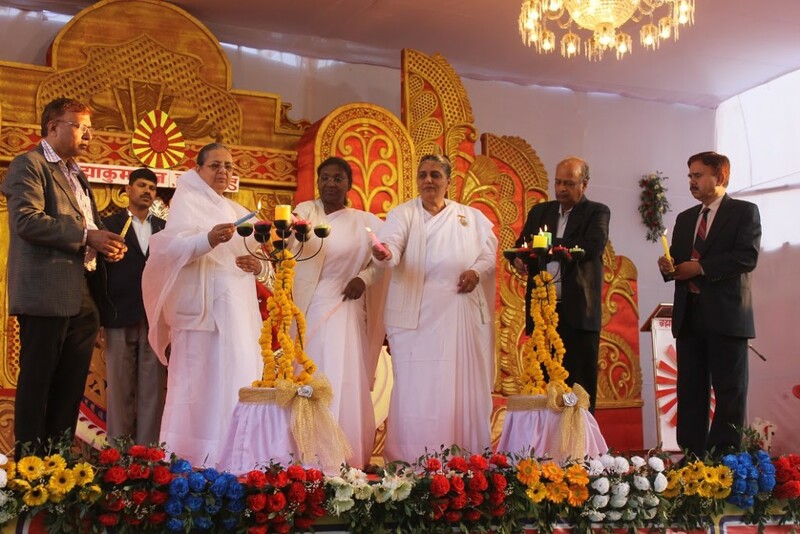 It was inaugurated by the lighting of holy lamps by Mrs. Draupadi Murmu, Honorable Governor of Jharkhand, along with Mr. Siddharth Tripathi, Commissioner of Mgnrega; Mrs. Asha Lakra, Mayor; Mr. Ramesh Pandey, Ranchi University Chancellor; Mrs. Kamini Kumar, Pro-Vice Chancellor, Ranchi University; Mr. Rajendra from Haryana; BK Trupti from Surat; and BK Kishan from Sonipat. 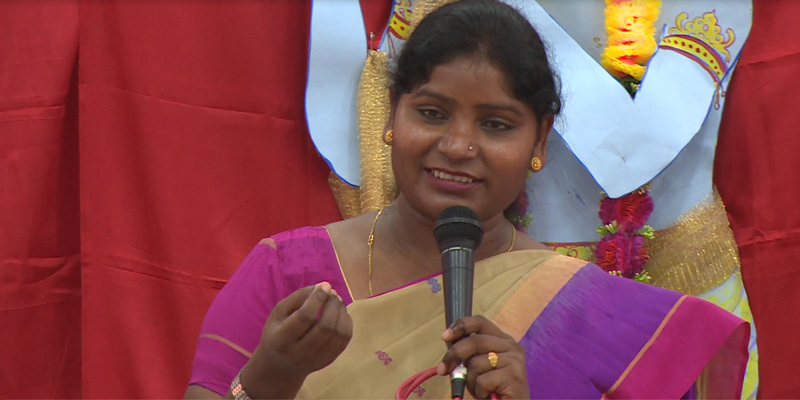 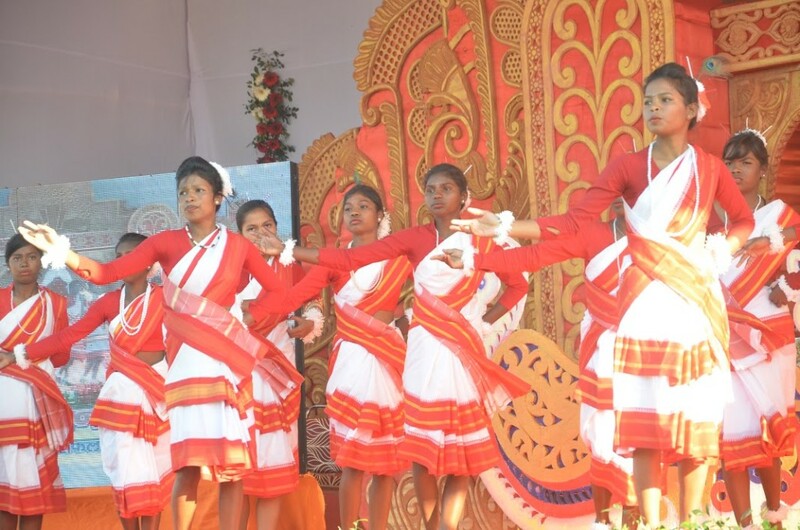 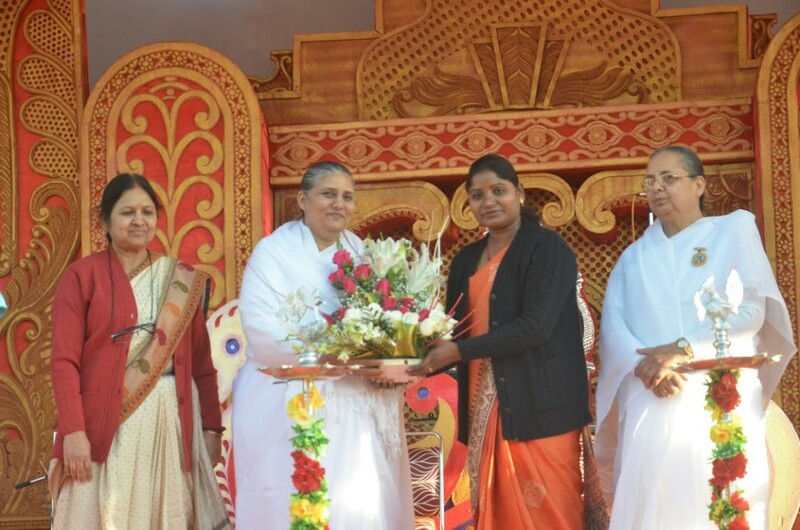 Mrs. Draupadi Murmu said that every farmer through education, skill, health and co-operation must become self-sufficient and rebuild virtuous Gokul Village. 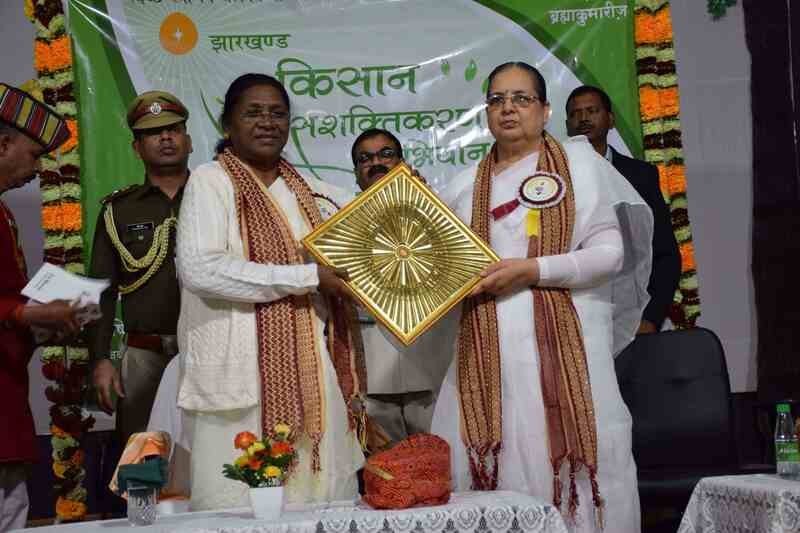 She said that this campaign will give a new direction to Farming Society. 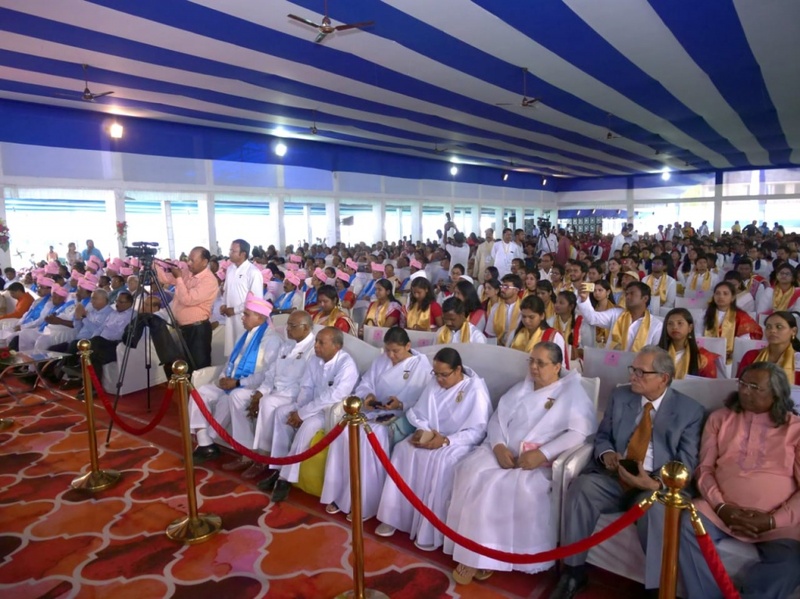 It will make them realize Social Equality, Mutual Co-operation, feelings of Brotherhood and Divine Qualities present within them. 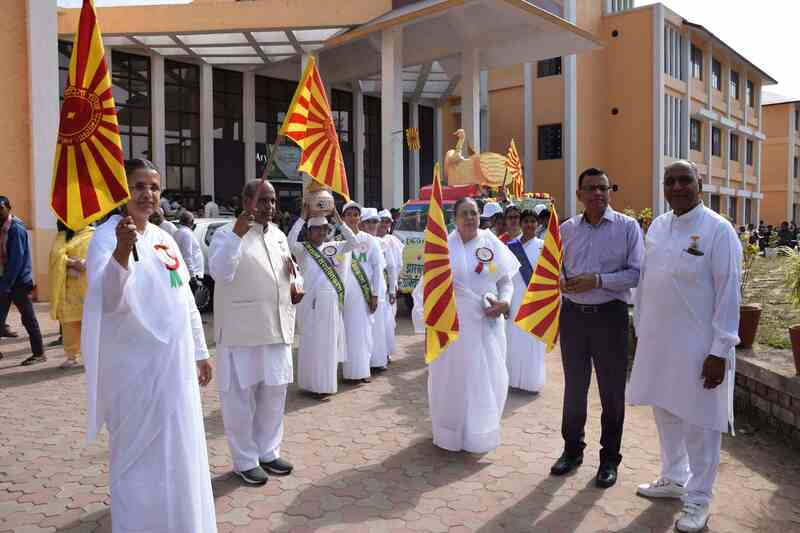 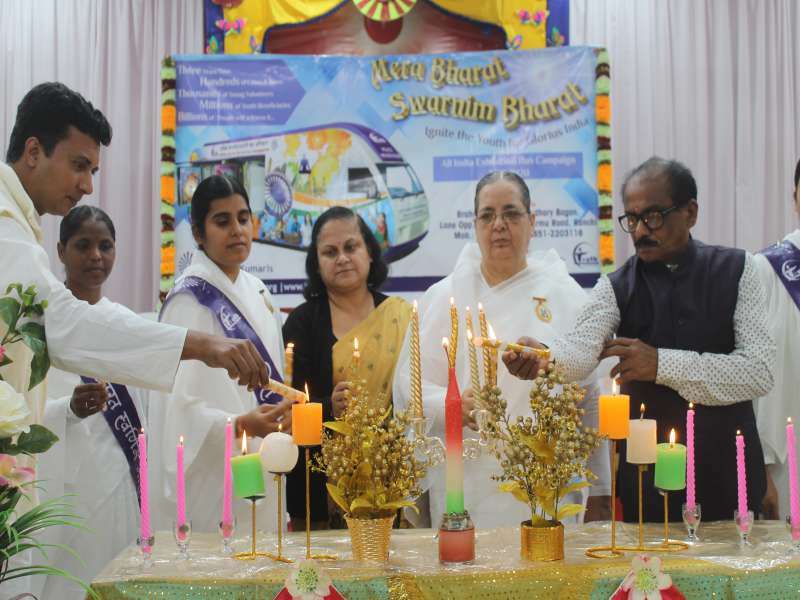 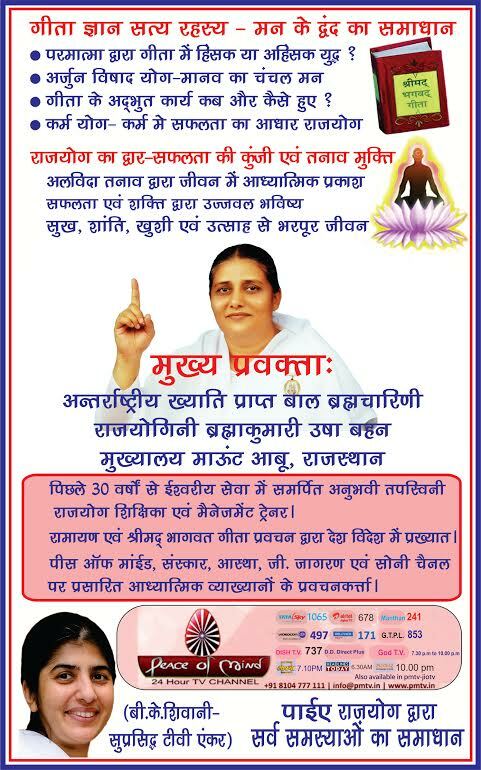 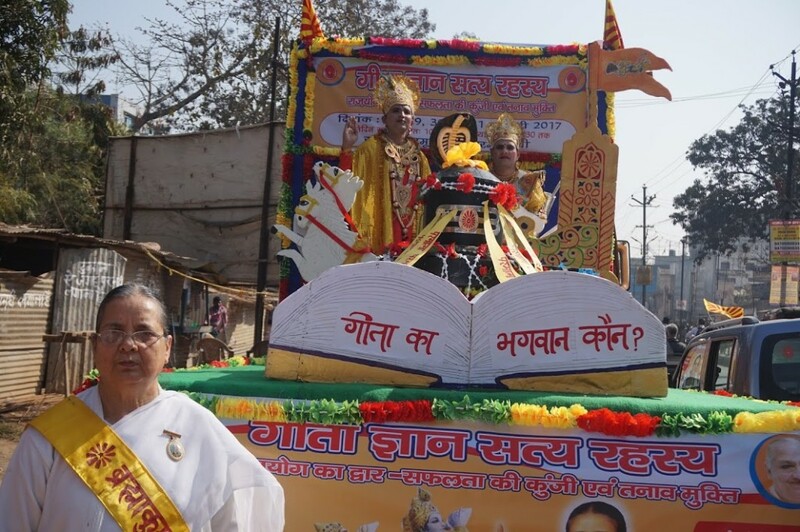 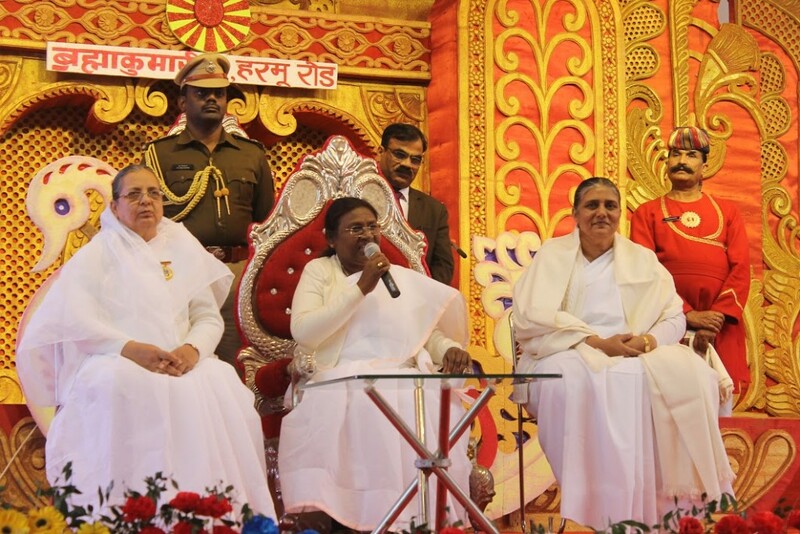 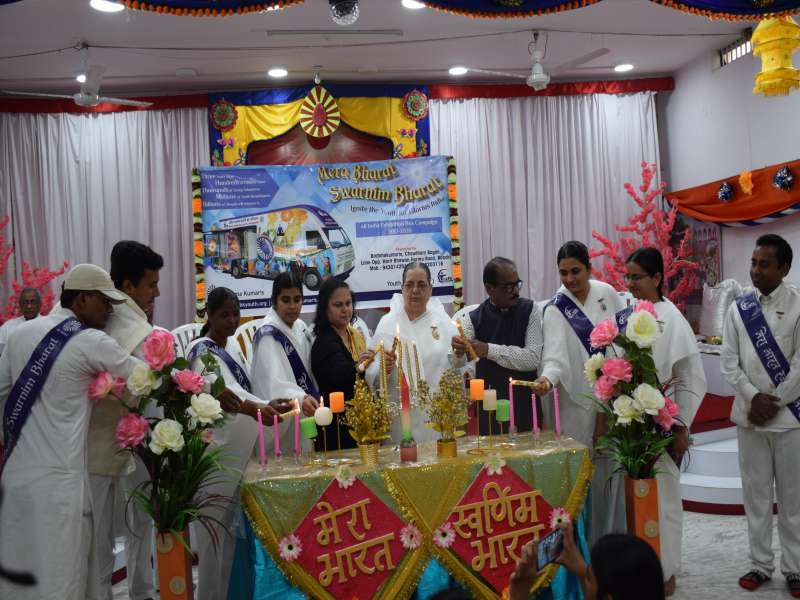 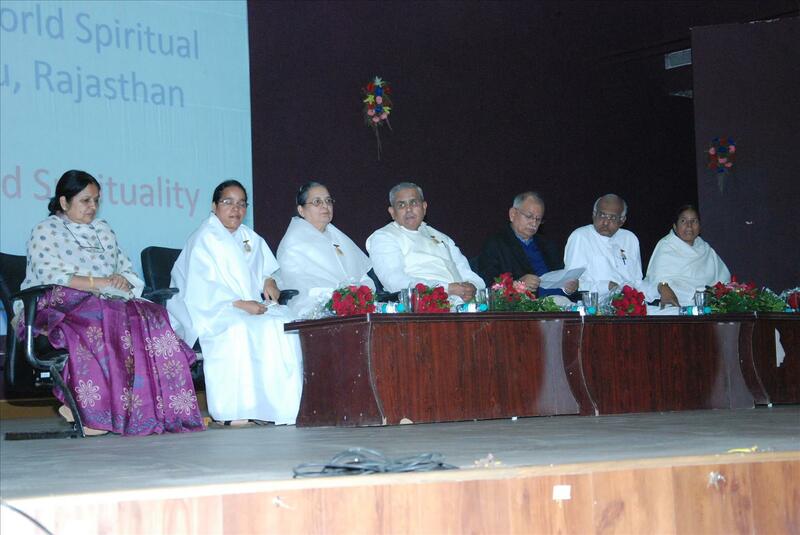 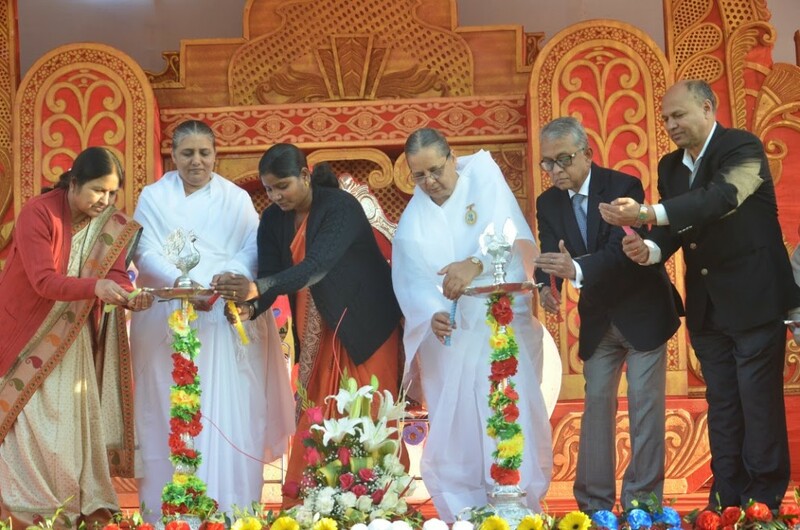 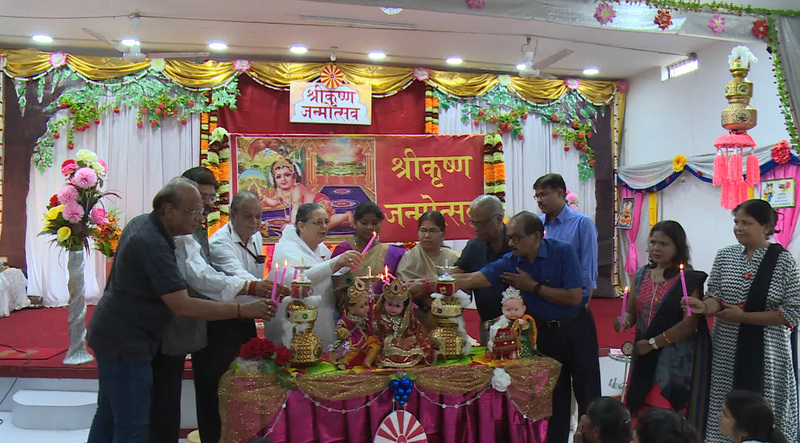 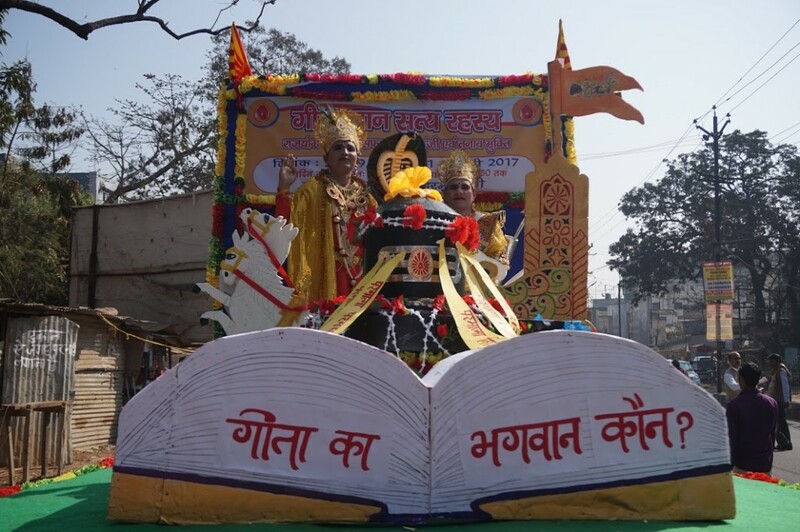 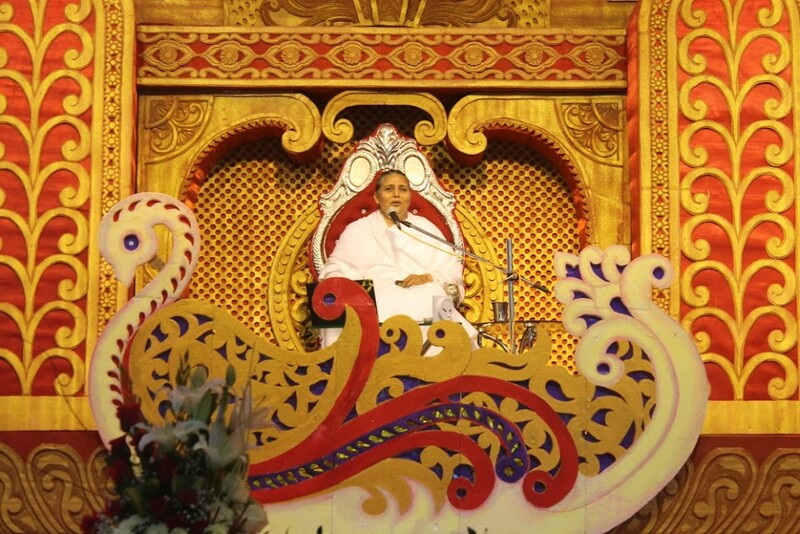 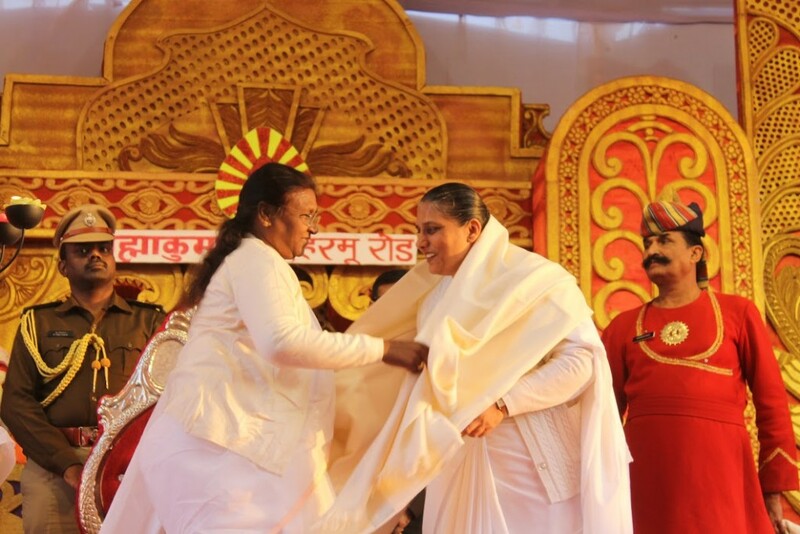 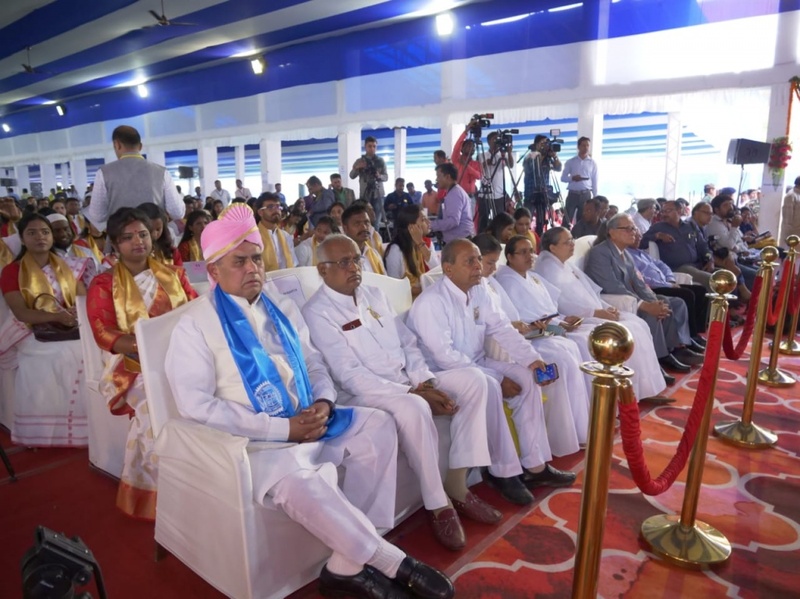 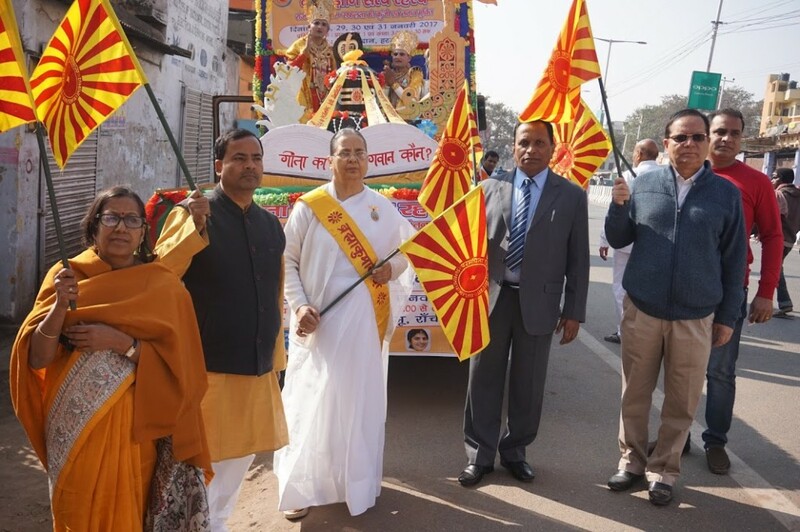 She further said that the Spiritual efforts of the Brahma Kumaris to liberate people from the habit of caste, creed, colour differences and intoxications, blind faiths, ill culture of dowry systems, and many more prevalent habits in society, are laudable and praiseworthy. 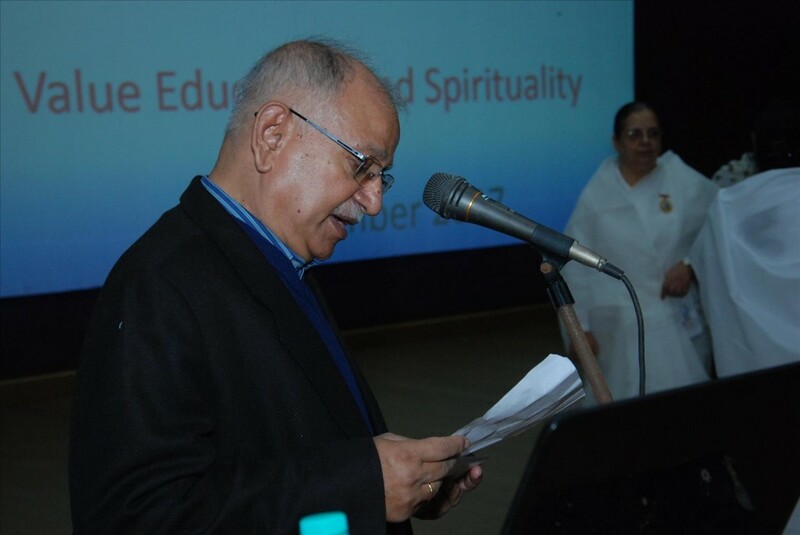 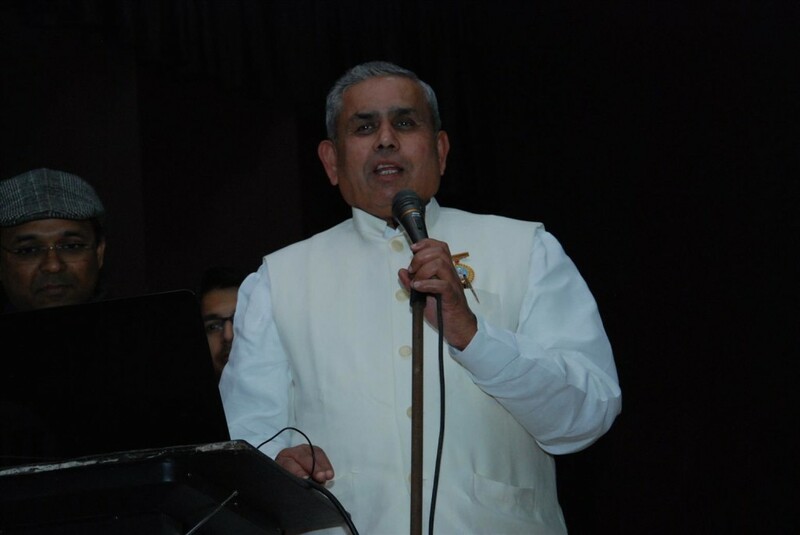 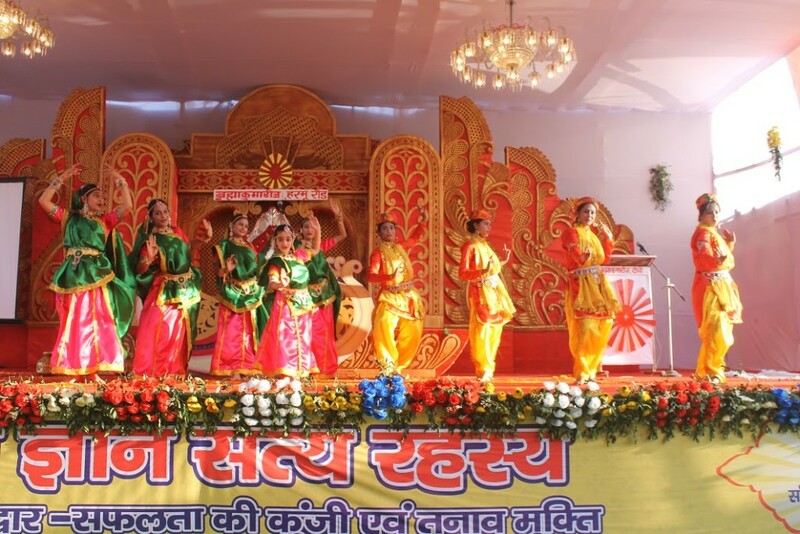 BK Rajendra Prasad from Mount Abu said that the Nature of the five Elements in Satyug was highly Pure. 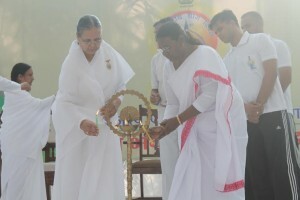 The farm products were also pure and nutritious for health. 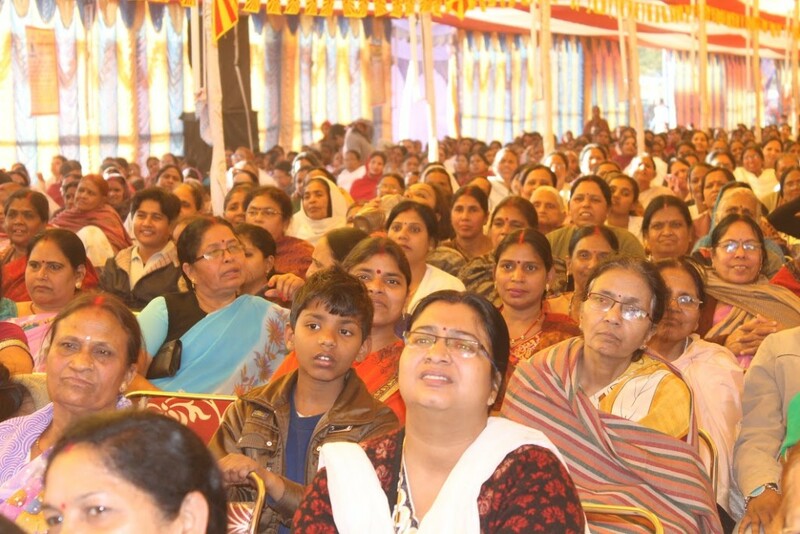 Fruits, vegetables and milk were plentiful. 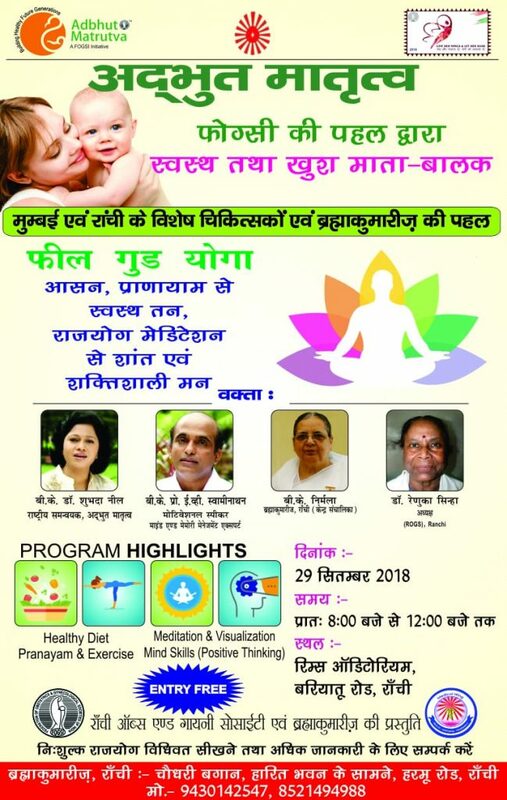 So everyone was pure and healthy mentally and physically. 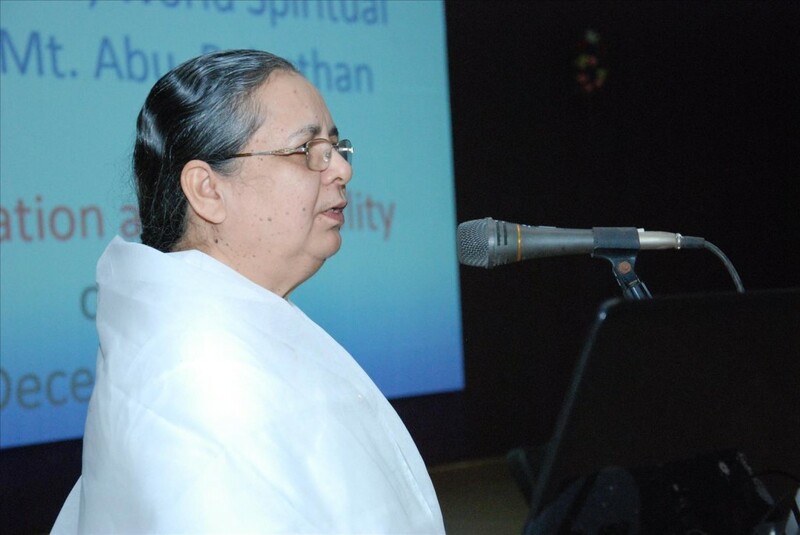 They are called Deities full of Divine qualities. 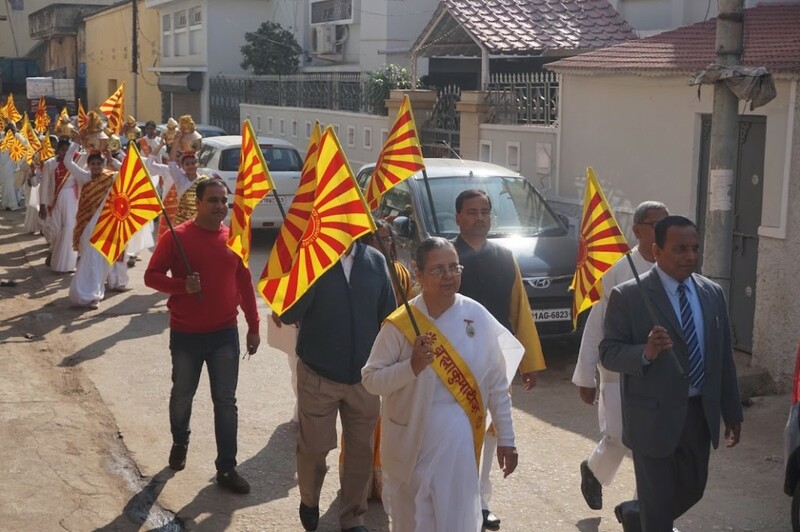 Bharat of that era is known as the Golden Bird because friendship, joy, peace, purity, goodwill, and mutual co-operation was their way of Noble Life. 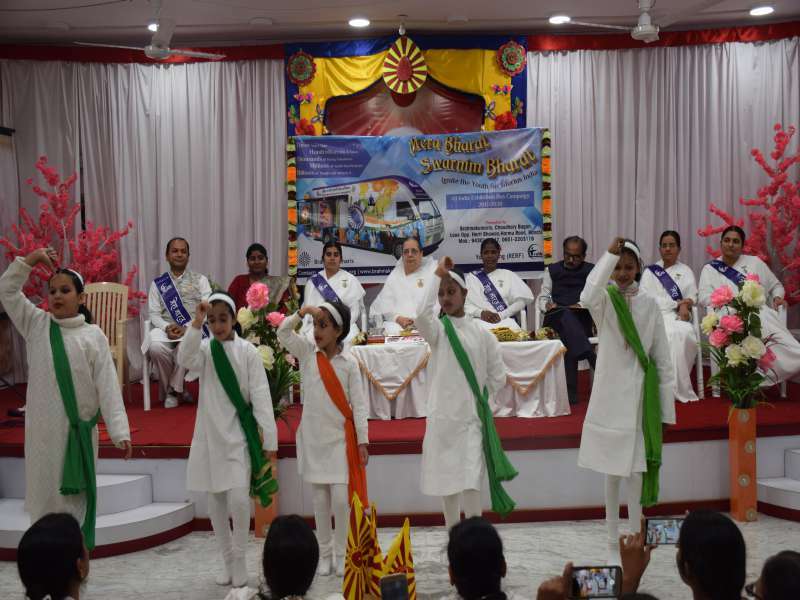 The program started by offering flower bouquets to all the guests, followed by the National Anthem and a welcome dance by children. 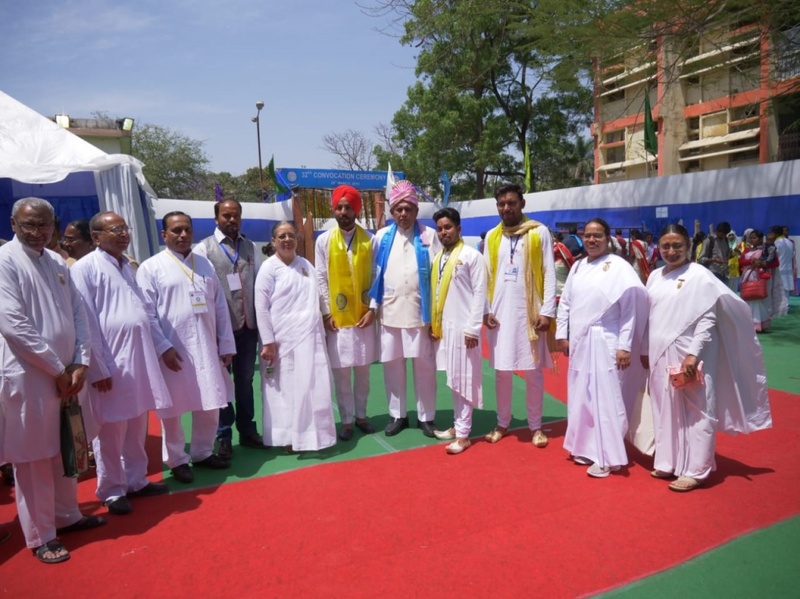 The guests were honored with traditional turbans. 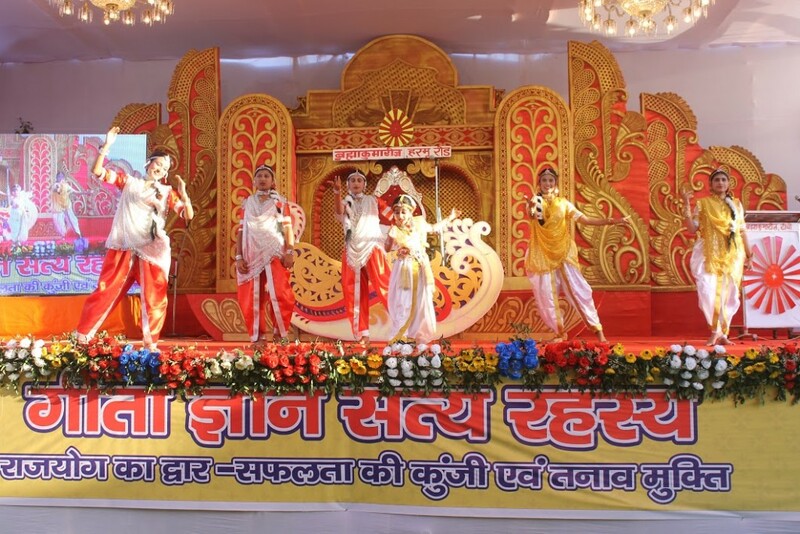 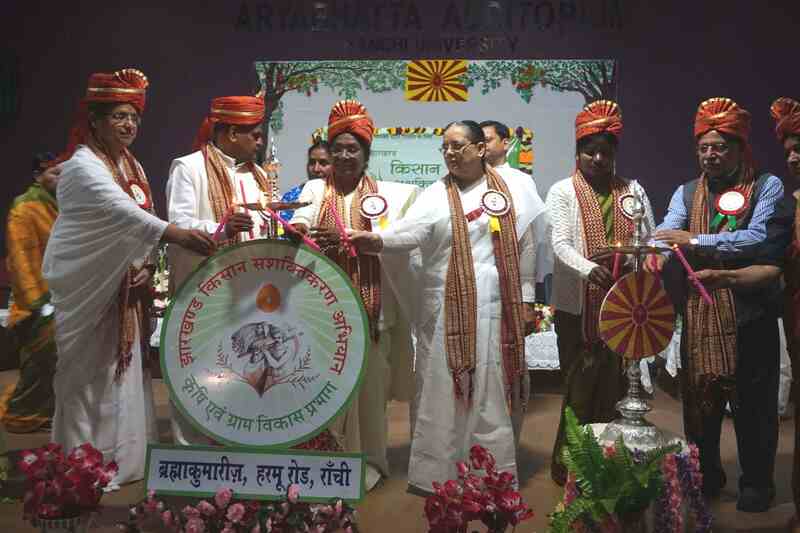 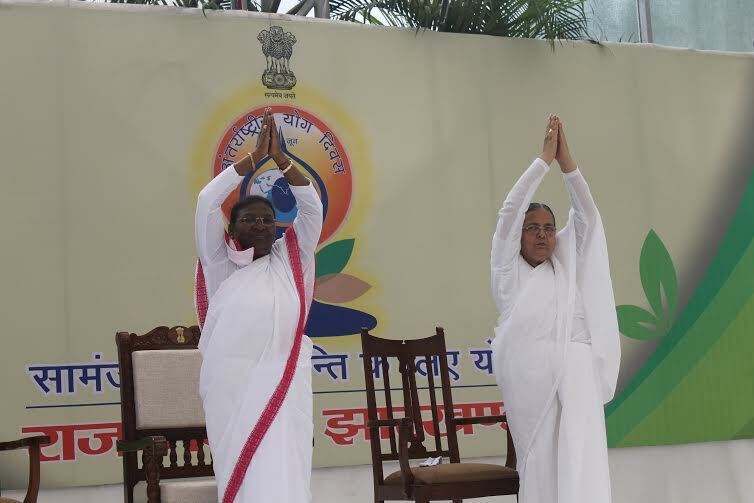 Following this, the Aim and Objective of the Campaign was shared with the audience: the Campaign will be taken to each and every village in Jharkhand to educate and motivate the farmers to adopt the system of farming through the Power of Yoga and empower themselves by practicing Rajayoga Meditation. 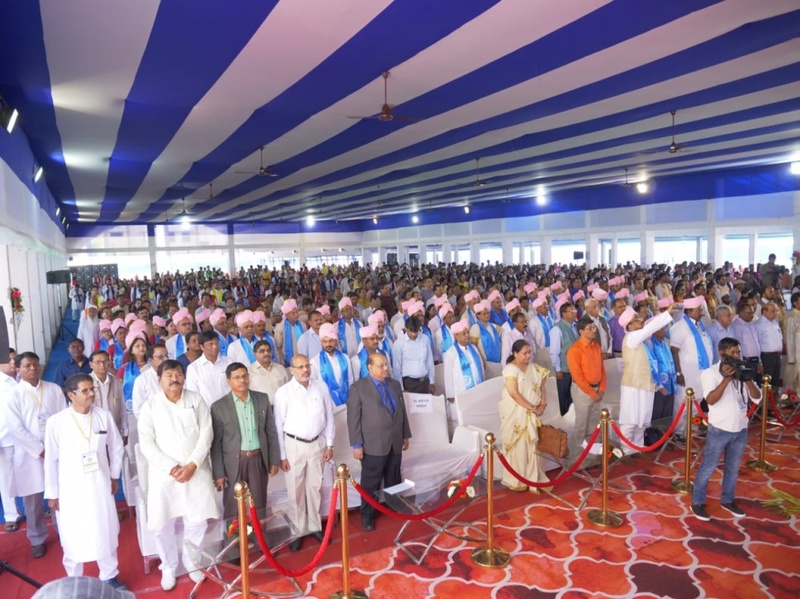 The program was attended by Government Officials of Agriculture Department and farmers from various villages in large numbers. 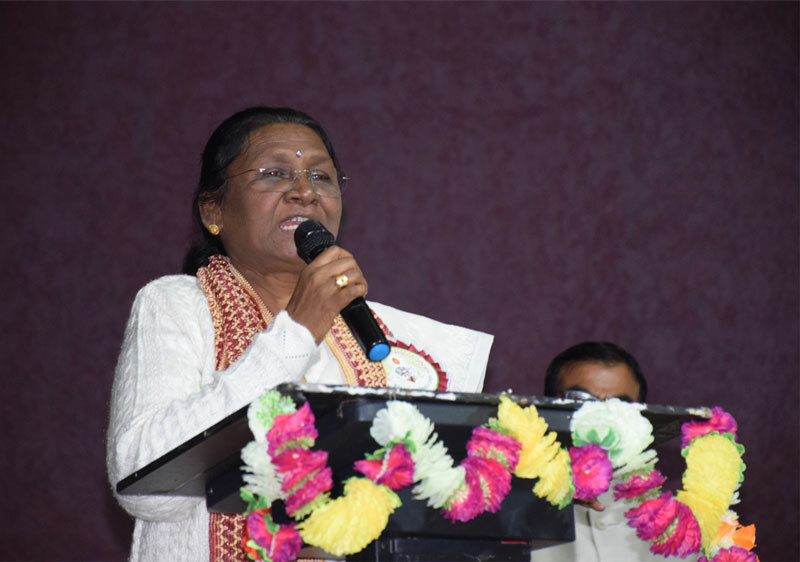 BK Nirmala, local Centre in-Charge, greeted all with her best wishes and gave thanks to all for their participation in their own better future and making the function a grand success. 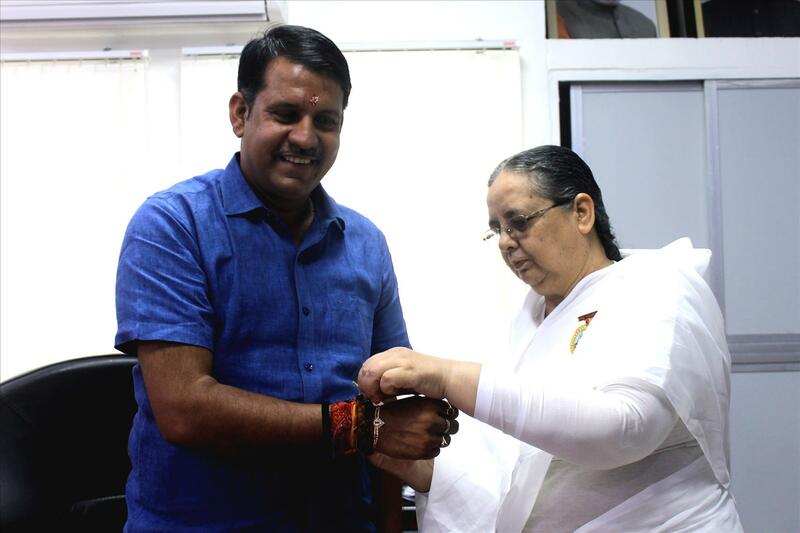 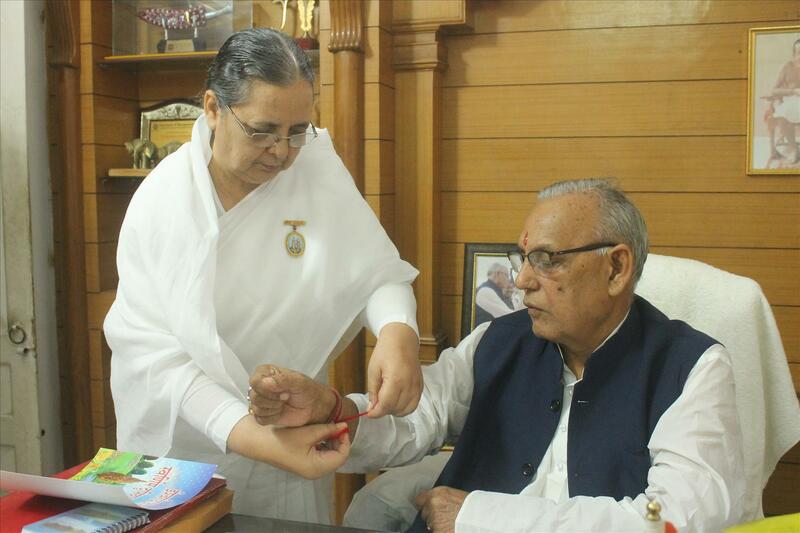 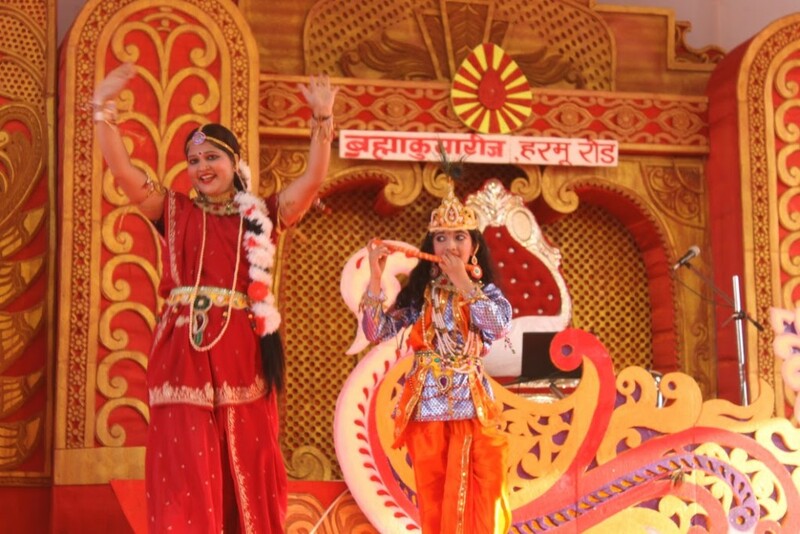 Brahma Kumari Nirmala tied rakhi to H.E. 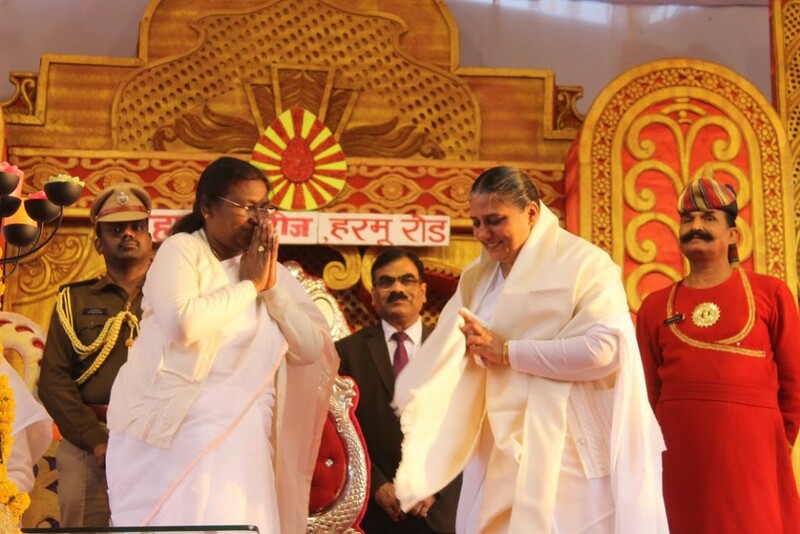 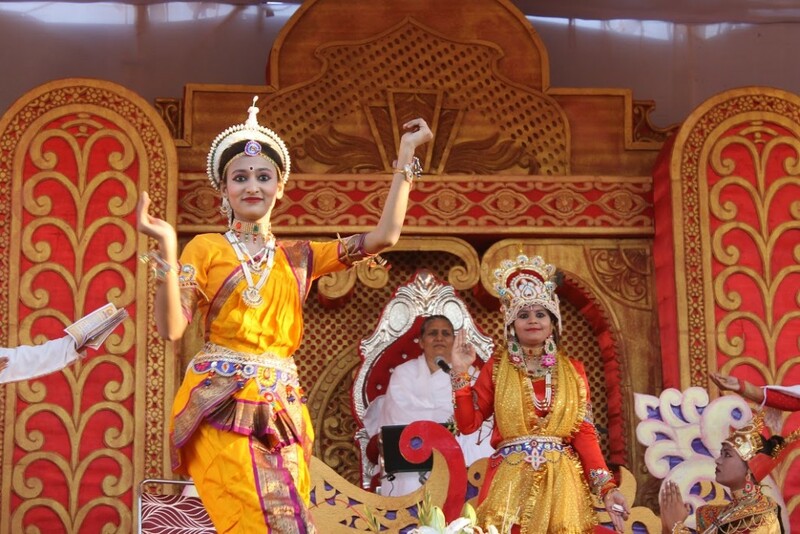 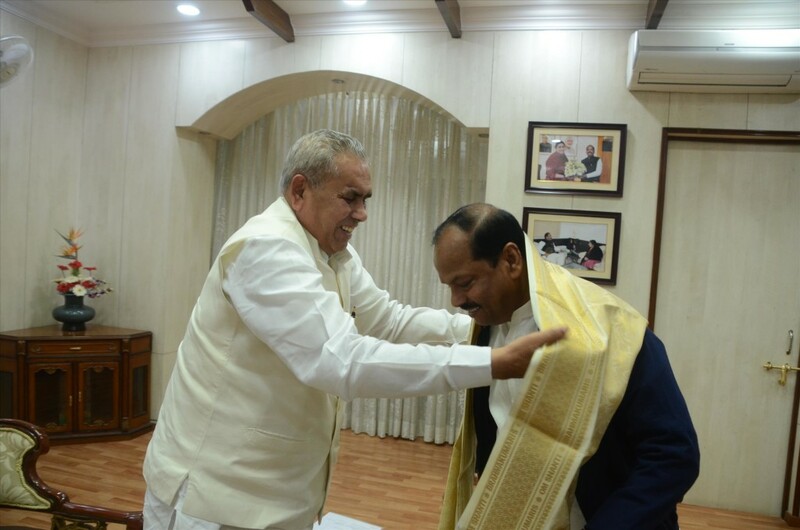 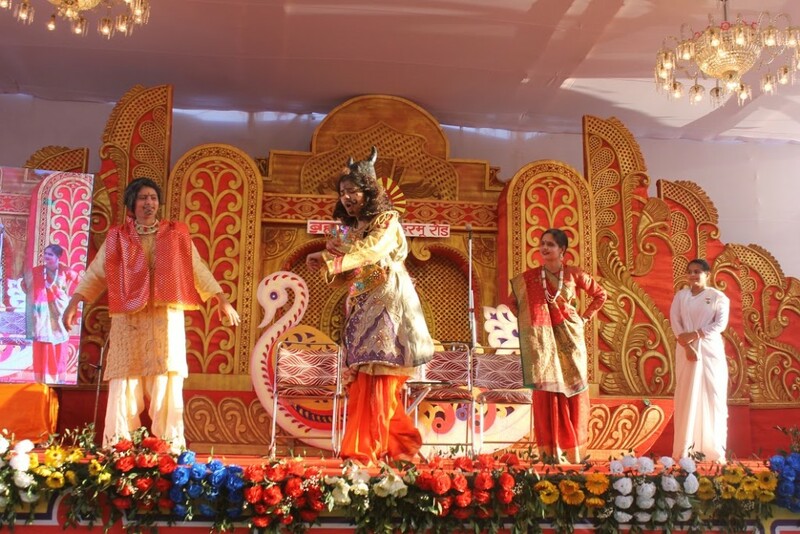 Draupadi Murmu, Governor of Jharkhand, and Shri Raghuvar Das ji, Chief Minister of Jharkhand, in Ranchi and gave them the Godly message, blessings and sweets. 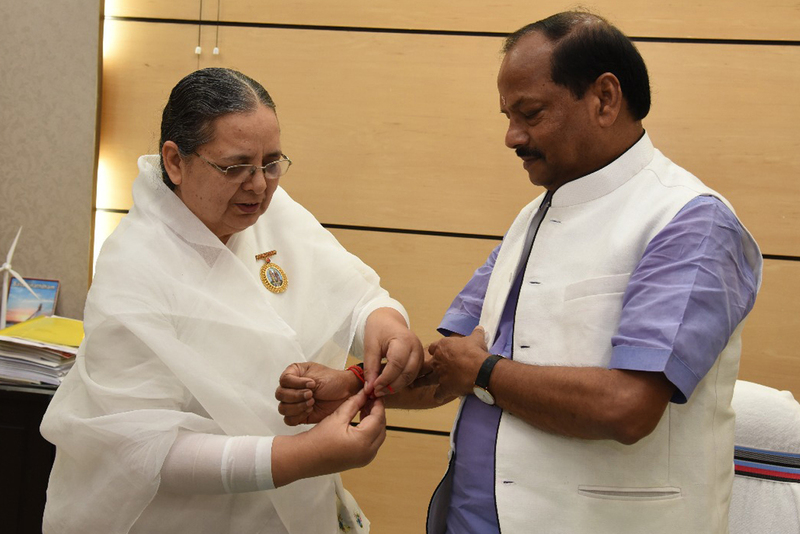 Brahma Kumari Nirmala also tied rakhi to Randhir Kumar Singh, Agriculture and Sugarcane, Animal Husbandry and Fisheries Minister, Jharkhand; C P Singh, Urban Development Minister; and Sri Ram Chandra Chandravanshi, Health Minister, Jharkhand.